All funds raised will be paid directly to Joshua Hancock for Congress 49th District for Libertarian campaign for Congress. My name is Joshua Hancock, and I am running for Congress as your Libertarian candidate. With the majority of the media focusing on the two main parties, the Democrats and the Republicans, many people feel that they have little to no real choice when it comes to who to vote for. I am here to offer you another option. Some Issues I'd like to change in Washington D.C.
Balance the Federal budget. Spending 1 trillion dollars more then what you take in is just not feasible for long term growth. Just look at the Roman Empire. What we need is a top down audit of all spending and cut what we don't need. Cut taxes. In California I get taxed at 10% state income tax, 25% federal income tax, 1% property tax, 10% sales tax, $1.50 a gallon gas tax. Also taxes that I wouldn't cut are Medicare and Social Security but those tax rates are 6.2% for Social Security for the employee and 6.2% for the employer. Medicare is 1.45% employee and 1.45% for the employer. I am opposed to any cuts for those but I do think we could do better by keeping governments fingers out of our retirement. Experts say that 18% is the nominal tax rate of all taxes for workers to be the most productive and we aren't even close to that. Secure our borders. While a wall does not solve all the border problems it does put up a barrier to keep people from crossing over through the deserts which can be dangerous and many people have died doing so. We do need a border wall to also make things more difficult for the Hezbollah terrorists operating in Mexico to come across and attack us. While not a perfect solution. It's better then nothing. Immigration Reform. We need a better solution then just deporting 20 million people. We need to get all of those people either on the pathway to citizenship and productive members of society or they can go home. To do this we need to change the requirement of how many people can become naturalized citizens a year. Also make the assimilation into America easier by having educational classes to learn English and the rules of law that make the United States a place people want to live. All criminals will be removed from the country depending on their crime. Persons protected by DACA will be placed on a Student Learning program on their pathway to become citizens. The rule that you have to return to your country of origin to begin the process will be removed and people who want to stay will be given a pathway to citizenship ID card which can be used for employment and those people will be given a probationary Social Security number. Protection of the Constitution. The Constitution is not a working document to be changed at a whim. The First Amendment rights are being violated by colleges where there are free speech zones. College students are not being allowed free speech outside of those zones. The Second Amendment is our right to defend ourselves and our pursuit of happiness and those rights SHALL NOT BE INFRINGED. In recent era of school shootings. Making gun free zones do not work. School campuses should be hardened targets not soft targets. More armed security and or teachers, Fenced in Schools with a defensible point of entry. Your Forth Amendment rights are also being violated by the government with warrant-less wiretaps under the Patriot Act. If the government wants to listen to your conversations they should get a warrant. -Public School Reform. The state of California's budget for public education is roughly 82 billion dollars which breaks down to $13.9k per student. Each student should be able to attend any school they want and be able to take that money to spend on the school of their choice. Why are we able to shop around for doctors or healthcare insurance but we can't shop around for schools that would be the best fit for our children. This "Voucher" system will enable our kids to attend the best school for their needs. Also children with special needs or learning disabilities and low test scoring would get head of the line privilege. I am a normal guy like you. I work a normal job, like you. I come home to a wife and kids, like many of you. I know what it is like to watch as people backed with a lot of party money tell you things will be better if you let them represent you, but then forget that promise the moment they become elected. You never hear from them again until the next election cycle when they ask for your vote again. I want to represent what you actually want, every day. I love this country, and I disagree with the direction it is taking. We need a change. We need someone in office that is not a career politician, but a man of the people. We have a lot of reason to be proud of the institutions that made our country what it is today, and we need to defend those principles. Many who choose politics as a lifetime career have lost sight of this. I am deeply concerned with the erosion of our long held and specifically enumerated rights and I intend to defend them. While I have not been a politician before, I have a long history behind me of being civically minded member of my community. When I was a young man I spent 11 years in the Boy Scouts, ultimately achieving my Eagle Scout. That organization stresses character, good citizenship, and traditional American values. I learned the value of hard work, honesty, and just rewards. I continued on to the Armed Forces, joining the Marine Corps as a continuation of my commitment to this country and my fellow citizens. Many politicians running for office in the US today hold a position based on what is politically convenient at the time. I do not. 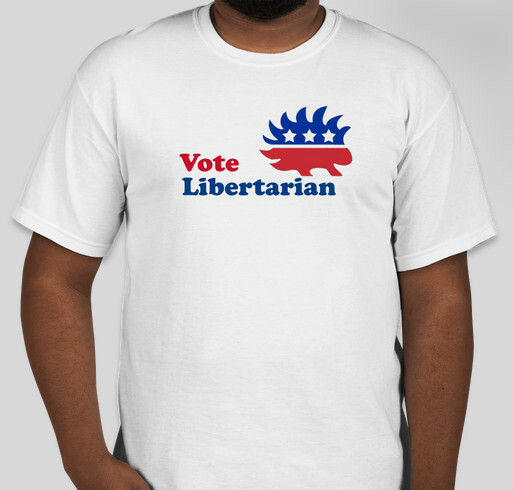 As a Libertarian, I hold to a specific political, social, and economic ideology. You will know what I believe at the beginning, middle, and end of any political career you may entrust me with. I invite you to look through my statements on the issues to find out what those beliefs are. If you agree with enough of what I do, please favor me with your vote in the upcoming election. If you agree with a lot, please consider donating or volunteering. Supporting my cousin Joshua Hancock in California as he would add great value as a congressman! Share Why You Support "Josh Hancock Libertarian for Congress"